They span 100,000 square miles, comprising 700 islands and thousands more cays. Their highlights include rum punches and endless sea views, mega-resorts, pure white sand and casinos flanked by dolphin habitats. The Bahamas have a reputation of captivating all those who visit, whether they are sailing through unspoiled cays or eating Jean-Georges cuisine atop a beachside skyscraper. Stepping onto the powdery sands of Cable Beach, however, the translucent waters lapping gently onto shore, it’s easy to understand why this destination enchants. Since the 19th century, when Cunard cruises began offering regular routes to Nassau, travelers have been lured to the paradisiacal archipelago between Havana and Miami. But it wasn’t until the mid-20th century, when Prohibition and the trade embargo on Cuba occurred, that the Bahamas stepped into the spotlight. Private clubs like Lyford Cay emerged, complete with manicured golf courses and tennis courts, that beckoned America’s ‘jet-set’ and wealthy families: a tricked-out Beverly Hills in the tropics. 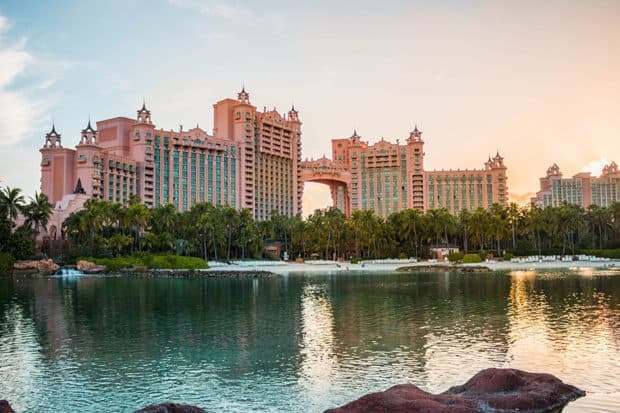 Another wave of popularity occurred in the mid-90s, when the sprawling, multi-resort Atlantis development was erected on Paradise Island, employing tens of thousands of locals and hosting even more international tourists. Today, the Bahamas’ reputation ranges from a spring break destination (thanks to Atlantis) to an A-lister hideaway. A host of celebrities including Tiger Woods and Justin Timberlake have invested in properties here. This is because a vacation to the Bahamas checks many traveler’s boxes: easy transportation, year-round tropical weather, great food and endless activities available within steps of your hotel room—which is most likely decked out with high-tech amenities and a 24-hour concierge. Travelers come here for a full-service tropical playground, where nothing—not Michelin-starred pizza nor shark diving nor a spirited game of BlackJack—is off-limits. Highlights are almost too plentiful to list. A day can begin with oceanside golf; continue with scuba diving beside the model plane featured in the film Jaws; and end with mojitos and red snapper served in an overwater villa restaurant. 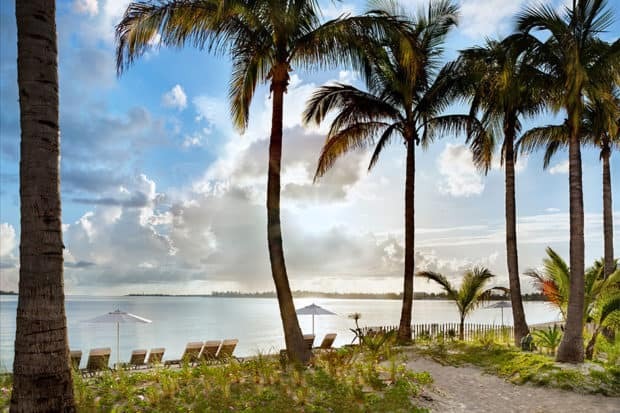 The next day can include a visit to a dolphin rescue center, a jet-ski ride through neon turquoise waters, and lobster quesadilla on the beach followed by a coconut essential oil-infused massage. But the Bahamas’ primary selling point—its mass-market, one-size-fits all appeal—has also been its limitation. At less than a 3-hour-flight from NYC, the English-speaking, American currency-using destination wins in its ease and accessibility. 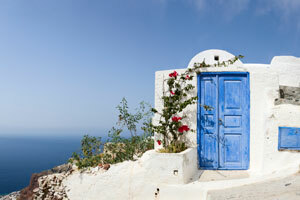 But these exact benefits may cause travelers to pass in favor of destinations with more bragging rights. (Millennials especially have a reputation of choosing places that seem ‘off-the-beaten-path’). The fact is the Bahamas may not serve up the most immersive sense of place or deliver an authentic cultural getaway. But what it lacks in this department, it makes up for with its endless possibilities. These possibilities were made even more endless in 2018 with the opening of Baha Mar, which is the Bahamas’ answer to a smaller, more refined version of Atlantis. 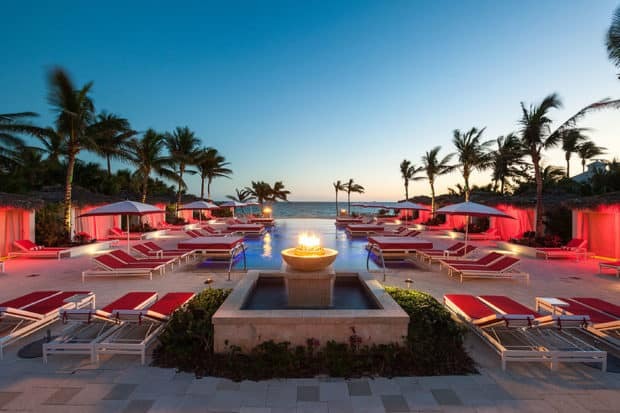 More than ten years in the making, the 1,000-acre, 4.2-billion-dollar development is the Bahamas’ shiny new Emerald City, in which every corner of the complex—from the candy-colored buildings to the crisp white cabanas to the stunning stretch of beach—sparkles with newness. 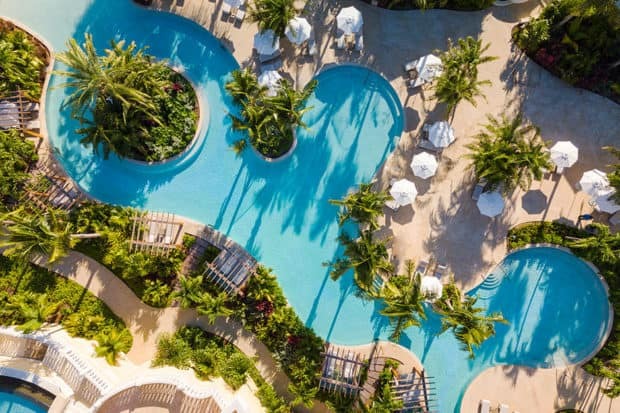 There are three resorts on property, plus a Jack Nicklaus–designed golf course, water park, 40+ restaurants and bars, and the largest casino in the Caribbean. But the real reason to stay here is the Rosewood Baha Mar, Baha Mar’s most luxurious property. Guests of the Rosewood are pampered in quiet seclusion from the rest of the complex, which is reachable by a two-minute walk along the beach. With an elegant spa and several superb restaurants, the resort-within-a-resort benefits from all the amenities at Baha Mar. However, Rosewood guests could easily while away several days within its confines: days can be spent exploring the several pools, each surrounded by magenta flowers and peppered with overwater cabanas fit for royalty; or relaxing in the exquisitely designed library, where macaroons and Champagne are served on lush, cream-colored sofas framed by oil paintings. Costa restaurant, which rests on Maldives-inspired overwater villas and serves elevated Mexican cuisine and excellent margaritas, is a must. ‘Everything at your fingertips’ seems to be a prevailing theme in the Bahamas hotel scene, and this concept is perhaps nowhere more mastered than at the Albany. A well-kept secret among its regulars, this 600-acre residence community is located on the opposite side of the island from Baha Mar and Atlantis. 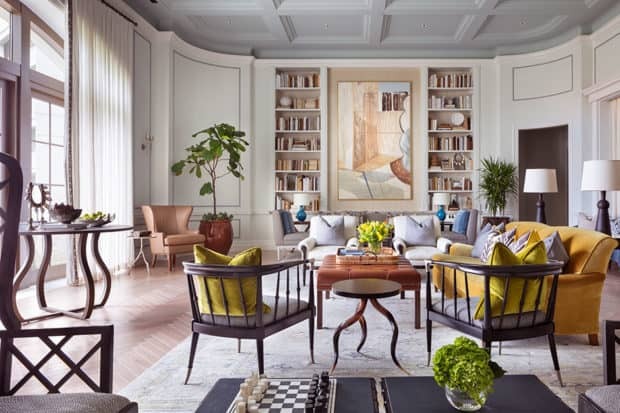 The name of the game here is luxury living: guests are welcomed not to a lobby but to their villa or condominium by their personal butler, who has stocked the fridge with all their favorites. And for the remainder of their stay, everything is taken care of, with an 18-hole golf course, movie theater, hair salon, grocery store and multiple pools, restaurants and shops on property. It’s no surprise that celebrities (like Justin Timberlake and Tiger Woods, who are both investors in the property) are known to hole up here for days. 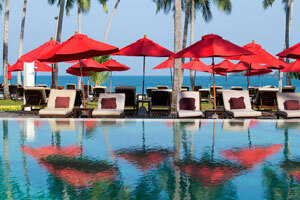 Be warned: you may never want to leave this indulgent utopia. On the last night of my stay in the Bahamas, I arrived at the Albany just in time for sunset. My travel companion and I hopped in our golf cart and sped towards the nearest beach, which happened to be located at the end of sandy pathway, and emerged on a completely secluded stretch. The bright pink sun cast a purple glow on the sand, and the ocean rippled with a rose-colored tint. Everything was quiet, save for the subtle humming of the palm trees, the steady percussion of the ocean. It’s hard to believe that only hours later, we had been jet-skiing past the Atlantis and pressing our faces up against manta ray habitats. Just another day in the Bahamas. Contact Indagare for assistance planning a vacation to the Bahamas. Our specialists can book you at the property that is right for you, plan seamless travel transfers and arrange great activities, meals and special experiences. Where to Stay: For a full-service, luxury getaway: Rosewood Baha Mar. For a sophisticated, upscale and private experience: Albany Bahamas. For an old-school, classic Bahamas vacation: Four Seasons Ocean Club. For a reliable resort escape: The Cove Atlantis. Getting There: Nassau is a 3-hour flight from NYC, offered daily by JetBlue, United, Delta, American. Small planes are required to reach the Bahamas’ other islands, like Harbour Island.